Our dear friends, Gary Cyr, Jerry Santa Cruz and Glen Towns, will be leading us and playing drums and bass respectively during our performance on July 15 as a part of the Multicultural Fair at Spirit Square in Coquitlam. Our presentation is coined “Ukulele Extravaganza”. If you would like to participate but have not signed up yet, complete the form below to let us know as the more the merrier! The Fair starts at 11 am and there will be “a variety of live entertainment, music and dance.” There will be activities for kids as well as adults. Visitors can try their hand at wood carving and arts and crafts. Like last year, we will also have a booth to give mini ukulele tutorials and to just hang out with other aspiring ukulele players over an outdoor jam. To sign up for the volunteer table, please use the same form below. Admission to attend the event is free and there will be a concession with a barbecue lunch and other food available for purchase. There will also be door prizes and raffle draws. We are also contributing a couple of prizes for the event. Time: Check-in by 1:40pm. Be ready to go on stage by 1:50pm. Accessories: Bring an uke, a music stand and songbooks. Parking: Available under the Glen Pine Pavilion, access from Glen Drive. Outdoor parking, access from Burlington St., plus the City of Coquitlam staff parking are beinig made available for this event across the street on Burlington St. with additional street parking around the area. See also Glen Pine’s Parking Information page. Our outreach booth is our home base to hang out during the performances. We will have a few colour ukes to show visitors how to play (or for us to have a jam)! Earn a certificate for complete your ukulele lesson! We will have a hand-stamp station for kids to stamp their hands. We will also have some free stickers to give away! Wi-Fi: Wireless devices should be able to pick up wi-fi signal from the Glen Pine Freenet. 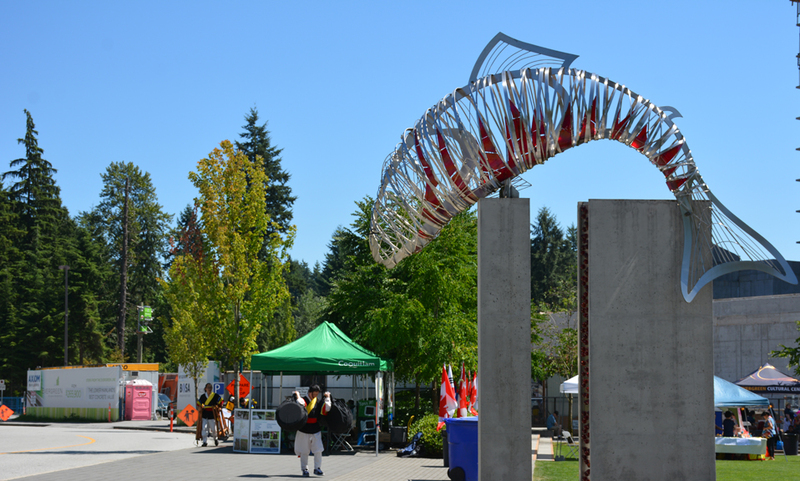 This entry was posted in Blog, Events, Posts and tagged ウクレレ, Coquitlam, 烏克麗麗, Extravaganza, 高貴林, Free Ukulele Tutorials, Glen Pine Pavilion, Hawaiian, 우쿨렐레, Kanikapila, Multicultural Fair, Outdoor Jam, Spirit Square, ukelele, Ukulele, Workshop, 尤克里里, 乌克丽丽 on July 14, 2017 by cutiecircle. If you enjoyed the first Hawaiian workshop Gary brought us then you will love his second with new songs and strums to learn! Let’s kick off summer aloha style! This entry was posted in Events, Posts and tagged Evergreen Cultural Centre, Gary Cyr, Hawaiian, Workshop on March 10, 2015 by cutiecircle. Chase away the winter blues with a Hawaiian music workshop! We will be learning 2 or 3 songs during the 90 minute lesson. One will be in the Hawaiian language and the other(s) in English with perhaps a few Hawaiian words salted in. Hawaiian attire is optional! This entry was posted in Events, Posts and tagged Gary Cyr, Hawaiian, Workshop on January 11, 2015 by cutiecircle.